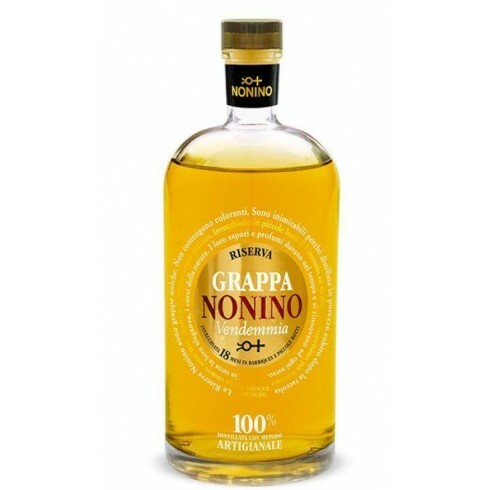 Nonino Grappa Vendemmia Riserva 18 mesi Available here | Saporidoc UK. Grappa Vendemmia Riserva 18 Mesi in Barriques Magnum from the famous North Italian grappa producer Nonino. A producer who strive relentlessly after quality and innovation to make the best Grappa in the world, in full respect of the territory and its culture - a grappa so fragrant with the aromas of its fruit that it seduces even the most discriminating consumers. Grapes Carefully selected Friuli pomace from various grapes. Bouquet Elegant with scents of vanilla, pastry, chocolate and spices. Taste Rich, velvety and enveloping. Pairs with Ideal accompanied with a good cigar or as a companion during reading. Perfect if paired with cheeses, foie gras, bitter chocolate, dry or chocolate-based desserts. Made from a selected blend of grappas from fresh pomace from various grapes. Fermented under vacuum, in stainless steel tanks at controlled temperature, immediately followed by distillation in order to avoid harmful secondary fermentation. Ther distillation takes place in artisanal batch distillation in exclusive copper steam stills with the elimination of heads and tails, which allows the selection of the purest part of grappa - the heart cut - to preserve the precious characteristics of the vine variety and thus obtain grappa of absolute quality. 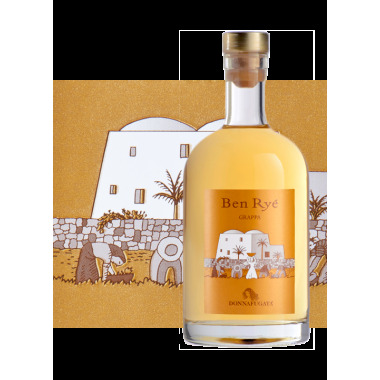 The grappa was aged over 18 months in Limousin oak barrels and ex-Sherry barriques. Colour: Clear and amber color with golden reflections. Bouquet: Elegant with scents of vanilla, pastry, chocolate and spices. Taste: Rich, velvety and enveloping. 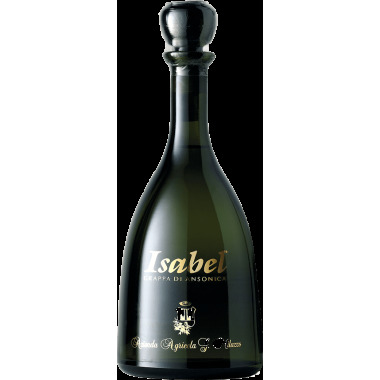 Isabel Grappa Ansonica from the famous Sicilian wine producer Az.Agr. Milazzo. Selection of fine pomace of Inzolia. A grappa made from this white grape cultivated and used in the production of the Milazzo white and classic method sparkling wines. Grappa Le Diciotto Lune from the famous North Italian grappa producer Distilleria Marzadro. An excellent intense well aged grappa made from a selection of fine pomace from Marzemino, Teroldego, Merlot, Moscato and Chardonnay grapes. 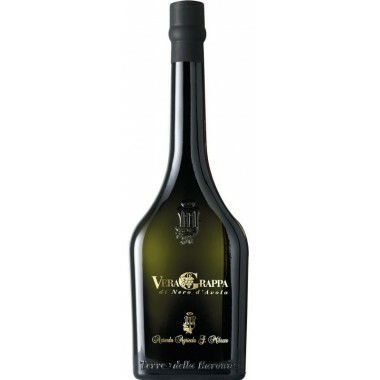 Milazzo Vera Grappa di Nero d'Avola from the famous Sicilian wine producer Az.Agr. Milazzo. Selection of fine pomace of Nero d’Avola. A grappa made from this red grape cultivated and used for the production of Milazzo’s red wines. 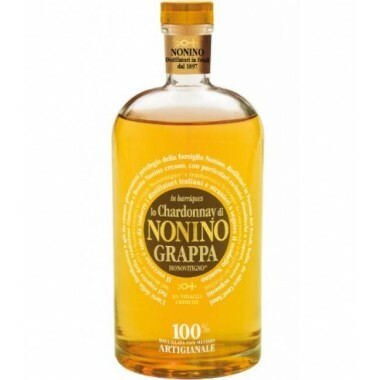 Grappa Lo Chardonnay matured in Barriques from the famous North Italian grappa producer Nonino. A producer who strive relentlessly after quality and innovation to make the best Grappa in the world, in full respect of the territory and its culture - a grappa so fragrant with the aromas of its grape that it seduces even the most discriminating consumers. 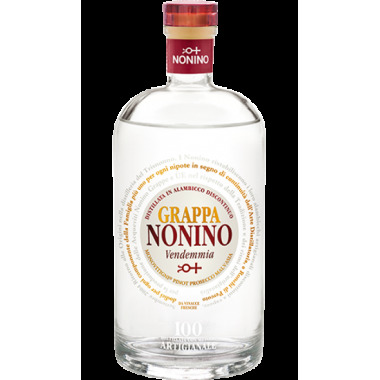 Grappa Il Sauvignon from the famous North Italian grappa producer Nonino. A producer who strive relentlessly after quality and innovation to make the best Grappa in the world, in full respect of the territory and its culture - a grappa so fragrant with the aromas of its grape that it seduces even the most discriminating consumers. 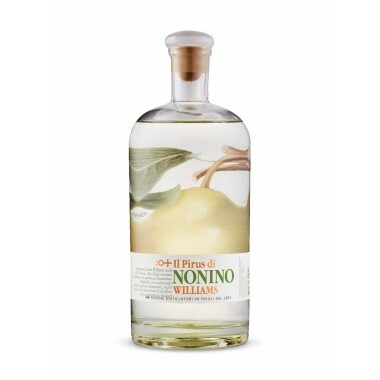 Grappa Il Pirus Williams from the famous North Italian grappa producer Nonino. A producer who strive relentlessly after quality and innovation to make the best Grappa in the world, in full respect of the territory and its culture - a grappa so fragrant with the aromas of its fruit that it seduces even the most discriminating consumers. 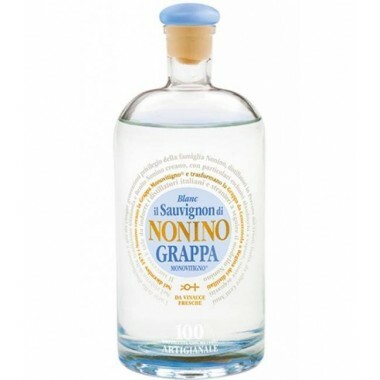 Grappa Vendemmia Magnum from the famous North Italian grappa producer Nonino. A producer who strive relentlessly after quality and innovation to make the best Grappa in the world, in full respect of the territory and its culture - a grappa so fragrant with the aromas of its grape that it seduces even the most discriminating consumers. 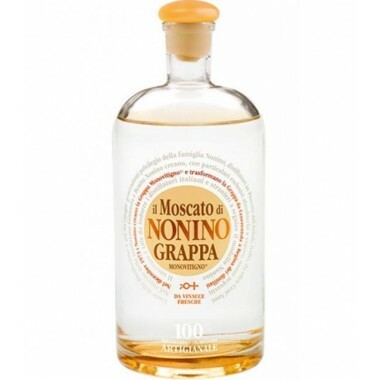 Grappa Il Moscato from the famous North Italian grappa producer Nonino. A producer who strive relentlessly after quality and innovation to make the best Grappa in the world, in full respect of the territory and its culture - a grappa so fragrant with the aromas of its grape that it seduces even the most discriminating consumers. 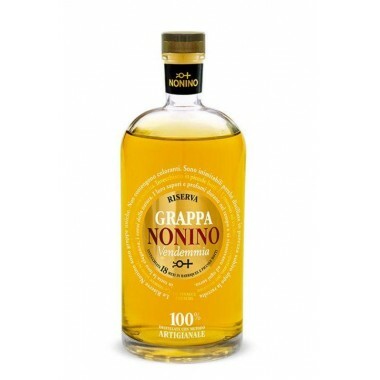 Grappa Vendemmia Riserva 18 Mesi in Barriques from the famous North Italian grappa producer Nonino. A producer who strive relentlessly after quality and innovation to make the best Grappa in the world, in full respect of the territory and its culture - a grappa so fragrant with the aromas of its fruit that it seduces even the most discriminating consumers. 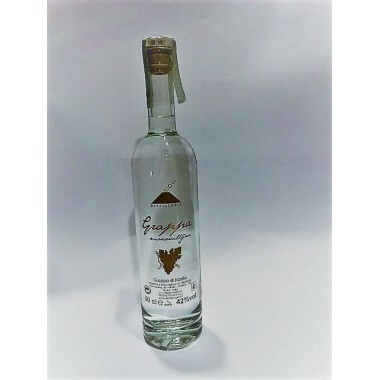 Grappa Inzolia from the Sicilian Distilleria Giovi made by the Master Distiller Giovanni La Fauci with selected Inzolia pomace from vineyards in Licata near Agrigento in southern Sicily. Grappa dell'Etna from the famous Sicilian Distilleria Giovi. Produced by the Master Distiller Giovanni La Fauci with selected marc from vineyards on the slopes of Mount Etna. The variety of grapes used are Nerello Mascalese and Caricante. Grappa Camilla from the famous North Italian grappa producer Distilleria Marzadro. 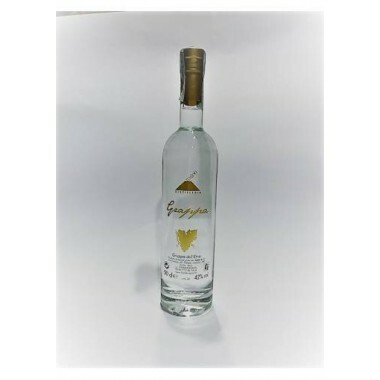 A grappa made from a traditional recipe using local pomace and infusion of extract from Camomilla plants, coming from the uncultivated meadows in the Trentino mountains to get a blended grappa that combines the properties of chamomile with those of a grappa. 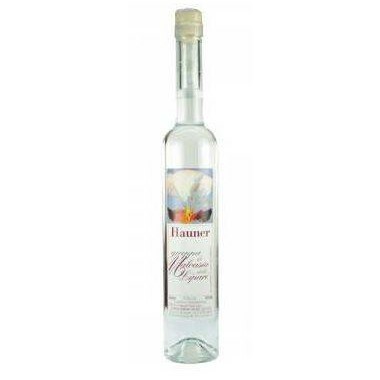 Unique, elegant and crystal clear Grappa di Malvasia delle Lipari from Carlo Hauner is the result of careful sorting of the best pomace from Malvasia grapes grown on the Eolian island of Lipari. A grappa so fragrant with the aromas of its grape that it seduces even the most discriminating consumers.